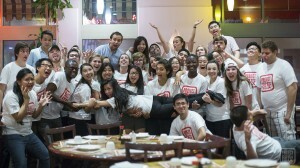 It has been one year since we launched the Project Pengyou Leadership Fellows Program. On June 19th and 20th, 2015 Project Pengyou Leaders from over 20 states gathered in DC to share what they learned. 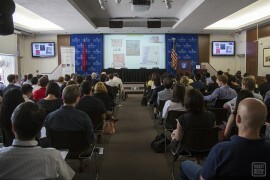 On June 21st, 2015 Project Pengyou, Johns Hopkins School of Advanced International Studies – China (SAIS – China) and the Committee of 100 brought together over 130 guests including Project Pengyou Chapter leaders, students, and professionals in Washington D.C. to the SAIS campus for a speaker forum featuring expert U.S.-China bridge-builders. 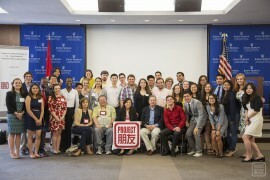 On June 21st, 2015 preceding this year’s Consultation on People to People Exchange, Project Pengyou co-hosted an event in Washington D.C. with Johns Hopkins School of Advanced International Studies – China titled: People to People exchange in U.S.-China Relations: Forgotten Past, Fateful Future. 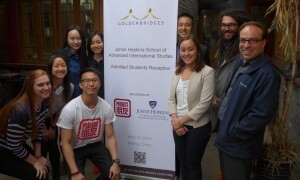 On April 19th, Project Pengyou hosted a reception for the newly admitted students of Johns Hopkins University School of Advanced International Studies (SAIS). 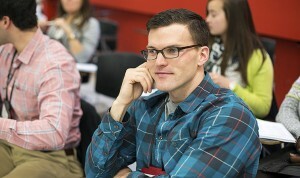 Brice spoke at the Johns Hopkins SAIS Center on May 8, headlining an event emphasizing the importance of people-to-people exchange in U.S.-China relations. The Director of the Hopkins—Nanjing Center discusses ghosts of our past, and Mei Yan, former GM of MTV Greater China sits down to speak with us about her adventurous journey from humble beginnings. 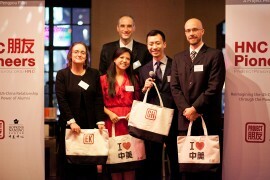 On September 26, 2013, Project Pengyou and the Hopkins–Nanjing Center (HNC) successfully launched their collaboration to pioneer innovative alumni community-building at M-Glamour Bar in Shanghai.